Data through April 2015. 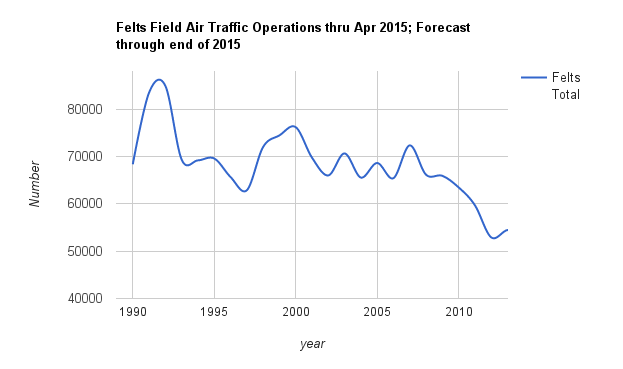 Chart extrapolates the first 4 months to the full year for 2015. With a slight growth in air passenger traffic, annual air passenger total usage is now roughly the same (corrected) still below 1995 and about the same as the year 2000. 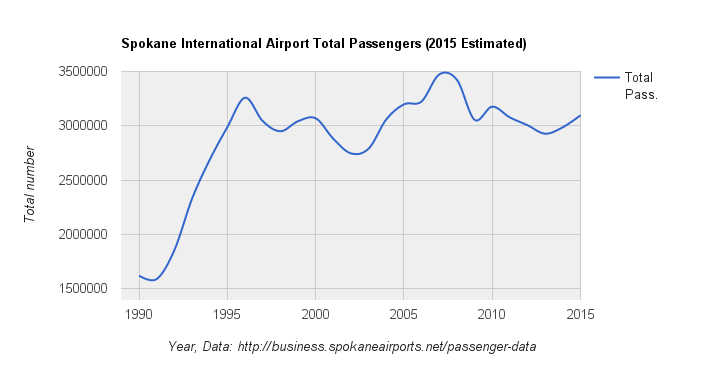 Overall passenger use of the airport has been essentially flat for two full decades. If recent growth continues, air passenger levels may reach the 2007 peak in about 2018 or 2019.